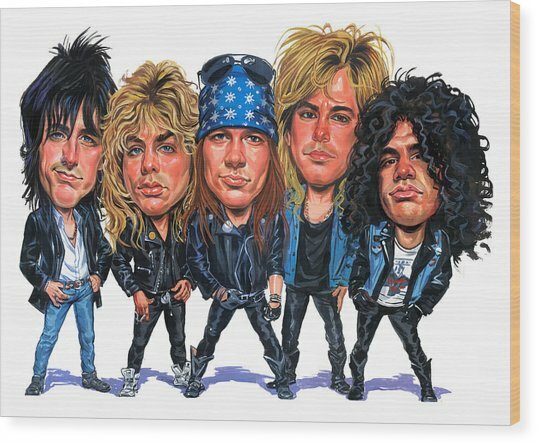 Guns N' Roses is a painting by Art which was uploaded on July 19th, 2012. 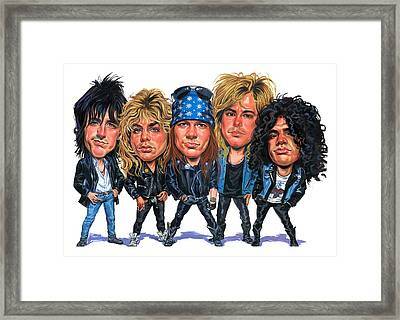 Guns N' Roses are an American hard rock band who formed in Los Angeles, California, in 1985. The classic lineup as signed to Geffen Records in 1986, consisted of vocalist Axl Rose, lead guitarist Slash, rhythm guitarist Izzy Stradlin, bassist Duff McKagan, and drummer Steven Adler. 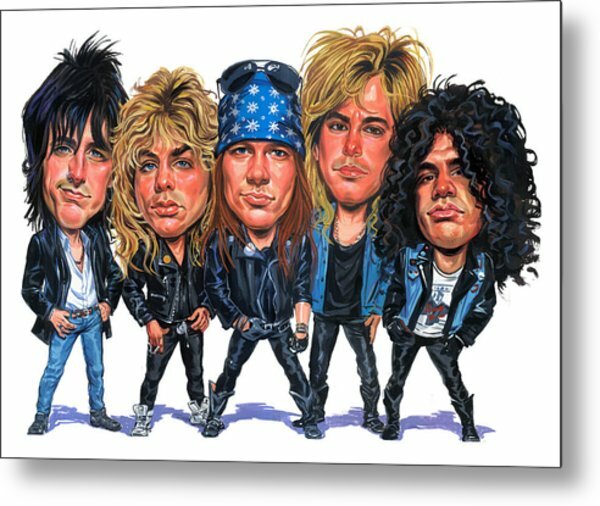 Today, Axl Rose is the only remaining original member, in a lineup that comprises Use Your Illusion�era keyboardist Dizzy Reed, lead guitarists DJ Ashba and Ron "Bumblefoot" Thal, lead and rhythm guitarist Richard Fortus, bassist Tommy Stinson, drummer Frank Ferrer and keyboardist Chris Pitman. The band released six studio albums, accumulating sales of more than 150 million records worldwide, including shipments of 45 million in the United States, making them one of the world�s best-selling bands of all time. A year after its release, Guns N' Roses' debut album Appetite for Destruction (1987) reached No. 1 on the Billboard 200, on the strength of the hit "Sweet Child o' Mine", their only single to reach No. 1 on the Billboard Hot 100. The album has sold in excess of 28 million copies worldwide, including 18 million units sold in the United States, making it the best-selling debut album of all time in the U.S. The success of their debut was followed by the eight-song album G N' R Lies (1988). The twin albums Use Your Illusion I and Use Your Illusion II (1991) debuted at No. 2 and No. 1 on the Billboard 200 and have sold a combined 35 million copies worldwide, including 14 million units sold in the United States alone. The cover album "The Spaghetti Incident?" 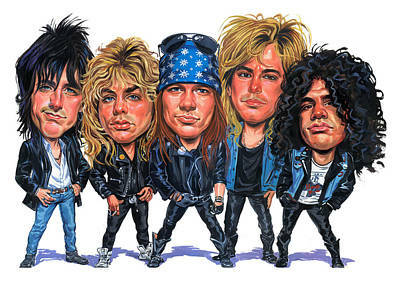 (1993) was the band's last studio album to feature Slash and McKagan. After more than a decade of work and many lineup changes, Guns N' Roses released the long-awaited album Chinese Democracy (2008) which, at an estimated fourteen million dollars in production costs, made it the most expensive album to ever be produced in music history. It debuted at No. 3 on the Billboard 200 but underwhelmed industry expectations, despite mostly positive critical reception.